Ludacris said “Down in the dirty south to be exact…. “ but there is nothing dirty about Bari or about the restaurant that I will review today. First of all let me say this: I LOVE PASTA. And because I love pasta I’m always in search for the perfect dish. Until my trip to Bari my point of reference was a little place in Vernazza, Cinque Terre where I tasted some amazing pasta. 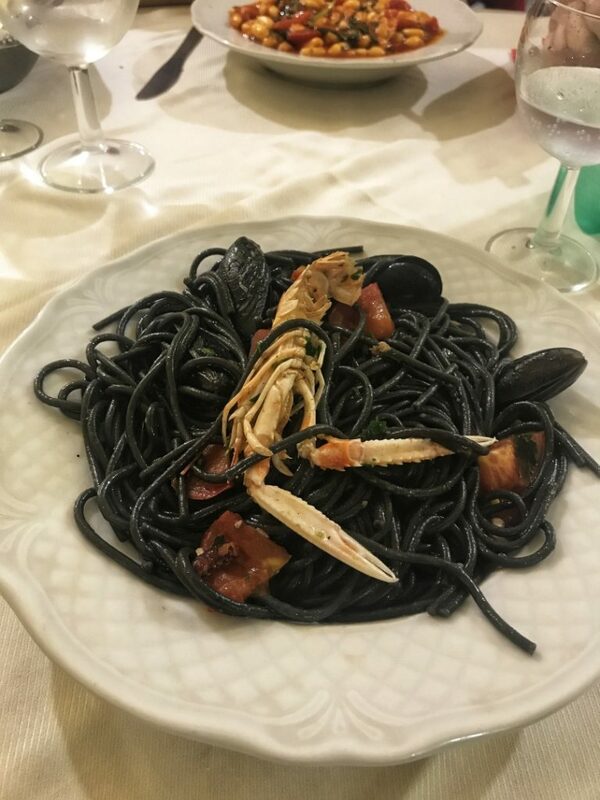 That restaurant was reviewed on an earlier post that you can find here but today I will focus on a local place in Bari. I ended up in this place by chance. The restaurant I wanted to go to (chosen from Trip Advisor) was closed that day and the guys from the hotel where I was staying told me about this place so I said to give it a chance. La Bruschetta is situated at Via Sagarriga Visconti 13 and after eating you can have a stroll on Corso Vittorio Emanuele until you reach Lungomare. Before starting the review I must point the following thing: this is a local restaurant, it is not a fancy place, it is not an expensive place, and like all good local places there’s not much attention to interior decoration. Staff: helpful, funny, engaging in conversation even though my Italian is far from perfect, they were helpful with information and explained to me what the people at other tables were eating. Food- as you can see from the pictures I tried a lot of things. And I liked all of them. Good, nice food, well cooked (the starters I mean), you can chose from a large offering so anyone can find something to enjoy. The price- yes, the south is cheaper and this restaurant is no exception. Anybody can enjoy a very good meal here and not leave a fortune behind. Which is really a pleasant surprise considering some of the things I tasted here. Atmosphere- when I first entered the place, it was all empty except a single table filled with a few ladies. All the tables had a reserved sign on them and by chance I got the last small, table for two table available. As the food started coming so did the tables started to fill with locals. And only locals. And it was incredible. Not one single tourist (except me) in the entire restaurant. Just long tables filled with locals. Elders, men, women, kids, all enjoying wine and food in this place. Now for the bonus: the pasta!!! By pure luck I was undecided and asked one member of the staff for a local recipe. He told me I should try the cavatelli alla rucolla and I will be forever grateful for that. The dish was amazing. Make that AMAZING. So simple yet delicious. The pasta, tomatoes, rucola and olive oil. You would not expect that something so delicious would need so little ingredients but this was the case here. Yes, all the food was ok, I enjoyed many things tasted that night but that pasta dish for me represents the best thing I ate on that trip. Even better than something I ate in a small place in Lecce which I already reviewed on the blog. You might not believe me but I often contemplate on catching a flight and spending one day in Bari again just for that pasta dish. That’s how good it was. 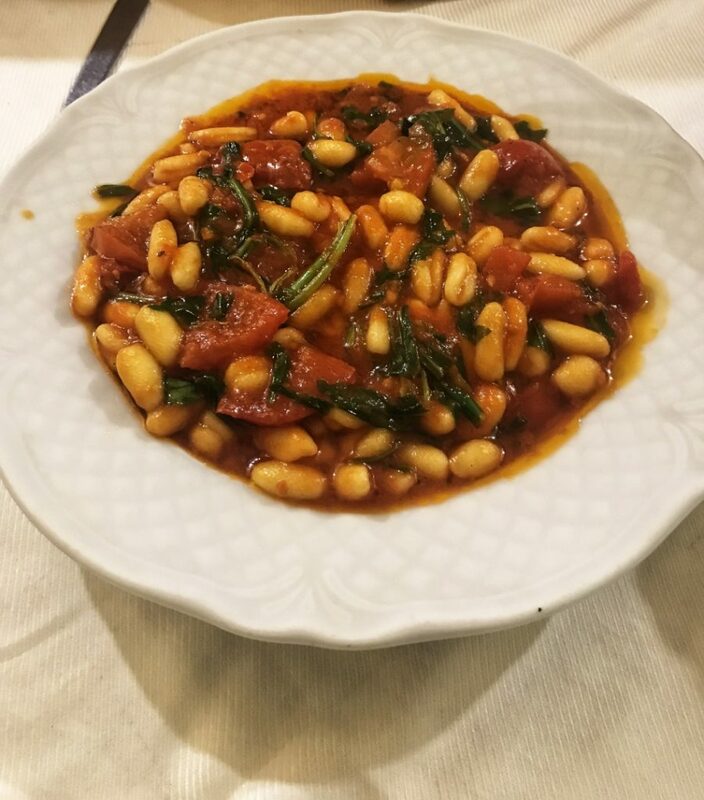 As a conclusion: if you want to experience something delicious and you are in Bari try this place and go for this dish. You will not regret it. Plus you’ll be surrounded by locals which is always an amazing experience during any trip. A huge thanks to the guys at Cristal Hotel who mentioned this place and helped me eat one of the best dishes ever.